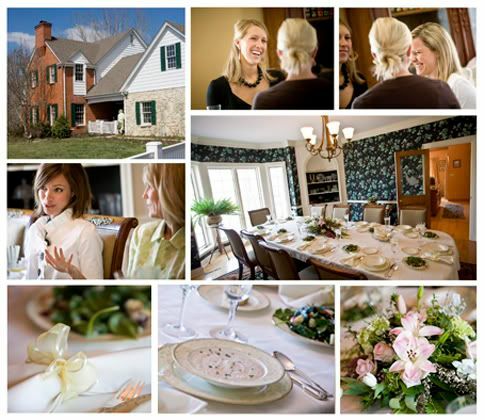 How nice of Jenny's bridesmaids (and their moms + friends) to host a ladies-only luncheon on Friday ~ what a fun event to document! Friday was a blue-sky feels-like-spring kind of day. 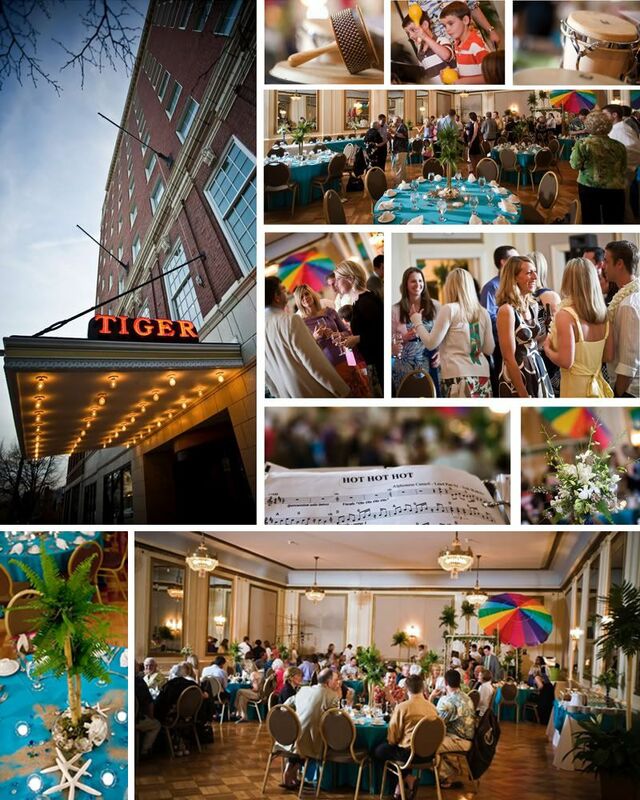 And it went from spring to SUMMER as guests entered the Tiger Ballroom for Friday night's rehearsal dinner. A basket of flip-flops was awaiting with a sign that instructed all to take off their shoes "you're at the beach!" Kent's Floral Design had done a remarkable job transforming the historic ballroom into a tropical paradise...of course the steel drum band really helped set the stage. 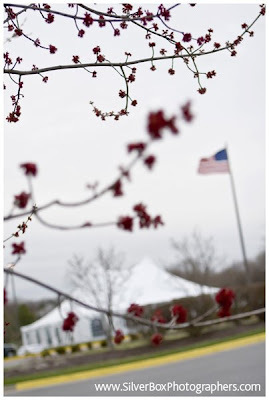 The weather was less-than-ideal on Saturday (plus it had rained Mon - Thurs and the ground was pretty much an over-saturated sponge) but thanks to having pavement at the Country Club of Missouri for the tent's foundation, all carried forth as planned. And good call, Lerea having those heaters reserved! Not only had Kent and his staff transformed the Tiger the night before and decked out the tent that morning, when we arrived we got to see the transformation of the Country Club from its "business-formal" standard to ENCHANTED! wow!!! 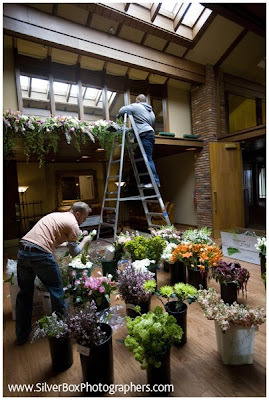 almost all the floral decor was made on site. note this garland-drenched mirror above the buffet PERFECTLY FRAMING this delicious Edith Hall cake. If there was a ledge inside or out, (see above and also below) why of course there were FLOWERS! even flowers in daniel's neice's hair. how sweet! Annika created some amazing ceremony images, like this one of Daniel with his dad over his shoulder (note a family resemblence?) seeing Jenny start down the aisle. That "being enveloped by family" is one of our favorite things about wedding. 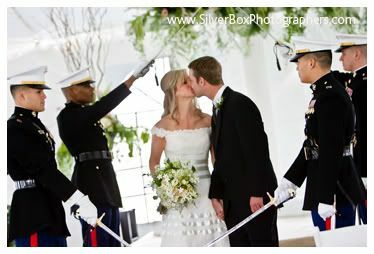 Daniel + Jenny....it was an honor and a pleasure.